Please use caution while driving in Rollinsford between 10-11 am, Saturday, 9/22. The Salmon Run 5K is being held Saturday morning at 10 am, beginning and ending at RGS. The runners and walkers will be on Pine St, Silver St., Rollins Rd., Greenview, Front St. Main St. and Locust. Thank you for keeping the participants safe! From the corsets and crinolines of the Victorian age to the streamlined styles of the Roaring Twenties, women’s fashions were dramatically transformed. “Fashionable Folks: What New Englanders Wore,” a new exhibit at Rollinsford’s historic Colonel Paul Wentworth House, tracks the many changes in taking place in women’s clothing over the course of a century. Featuring over 40 garments dating from the 1830s through the 1920s, the exhibit is open for visitors from 1 to 4 pm on Sundays until mid-October. Guided tours of the house are also available. Admission is by donation ($5 is suggested), and is free for ARCH members and children under 16. Maintained by the Association for Rollinsford Culture and History (ARCH), the circa 1701 Wentworth House is located on Water Street in Rollinsford, NH and hosts living history events, exhibits, and school and youth programs. For more information about this and other events at the Wentworth House, consult the ARCH website at paulwentworthhouse.org or on Facebook at The Colonel Paul Wentworth House. The Somersworth/ Rollinsford Share Fund is looking for volunteers to sit on the Share Fund Board. They are a non-profit that helps people in need. The board members meet 4 times a year. They would like a Representative from Rollinsford. Noon – 8:00PM for fireworks! Join us after the Salmon Run 5K – and keep the fun going until the sun goes down! Arch – Try your luck with graces, ball and cup, bowling and maybe hoop and stick. Chris Benedetto – Will be dressing as a Revolutionary War soldier since it is the 240th anniversary of 1776. He will be doing drills and firing a few times (with blanks of course). Also, one of their board members will be doing a presentation as a World War I soldier since the American Legion is partly named after William Martel, who was killed in France in 1918. Many exciting activities are planned to bring our local families and neighbors together!! To end the day with a bang, we’re bringing back the tradition of an amazing fireworks display over the Salmon Falls River. Thank you to the local businesses for their donations and town organizations who have donated time to make this event a reality! On behalf of the Town of Rollinsford, New Hampshire, Consolidated Hydro New Hampshire, LLC (CHNH) is preparing to relicense the Rollinsford Hydroelectric Project (Project) with the Federal Energy Regulatory Commission (Commission). CHNH, a subsidiary of Enel Green Power North America (EGPNA), operates and manages the Project under a lease agreement with the Town of Rollinsford. The Project (FERC No. 3777) is located on the Salmon Falls River, which establishes the border between the States of New Hampshire (NH) and Maine (ME), in Strafford County, NH and York County, ME. The FERC license expires on August 31, 2021. 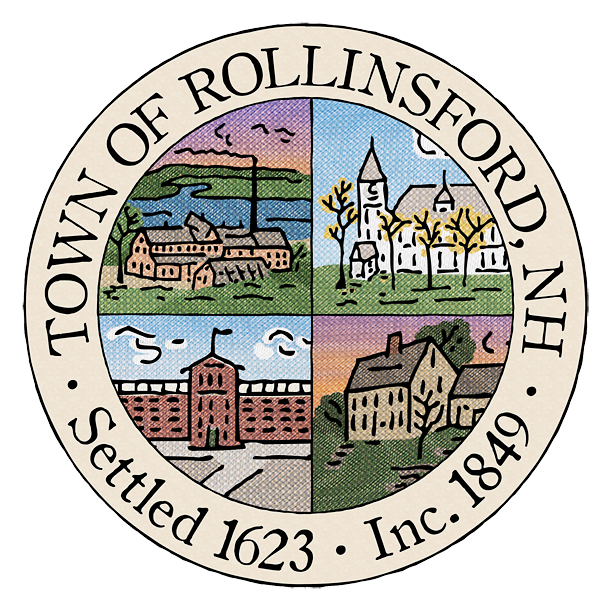 In accordance with the Commission’s regulations, on August 31, 2016, the Town of Rollinsford commenced the relicensing process by filing its Notice of Intent (NOI) to file an application for license and Pre- Application Document (PAD) for the Project. Also, pursuant to the Commission’s regulations, the Town of Rollinsford requested the Commission’s approval to use the Traditional Licensing Process (TLP) for this Project. The purpose of this email is to distribute copies of those documents to potentially interested federal and state resource agencies, Indian tribes, non-governmental organizations, and members of the public. A copy of the NOI, PAD, and TLP request is available for download at the FERC website using the following FERC eLibrary link: http://elibrary.FERC.gov/idmws/file_list.asp?accession_num=20160831-5132. Paper copies are available upon request, please contact Kirk Smith at ksmith@gomezandsullivan.com or 603-428-4960. If you have any questions regarding the above, please do not hesitate to contact Mr. Kevin Webb, Hydro Licensing Manager at 978-935-6039 or by email at Kevin.Webb@enel.com.